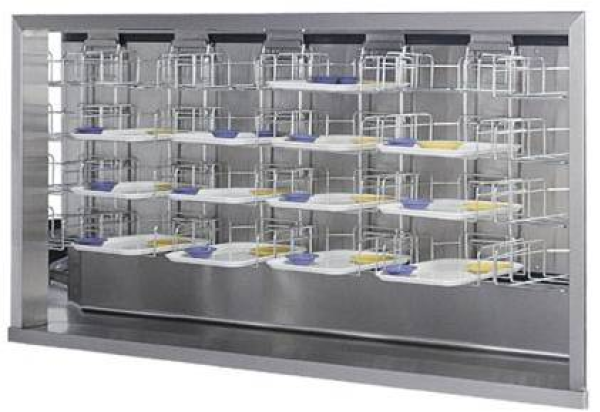 Scraping table is ergonomically designed for the easy removal of trays & wares. 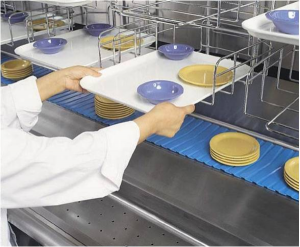 The integrated trough & bussing conveyor make the operators life a bit easier & efficient. Allowing them to scrap accumulate & bus wares easily. 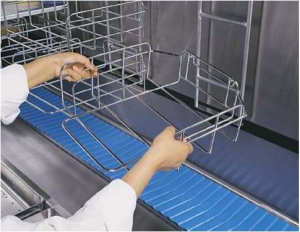 Both at the top and bottom, carriers ride on the UHMW guides. 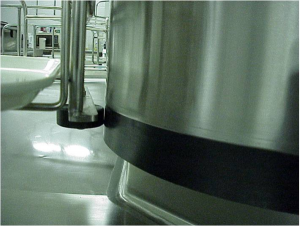 These guides are designed to reduce friction and give the system a smooth and quiet operation.